Simply set the output format you need and the input format is automatically converted, protecting your equipment from receiving an incorrect signal. It’s also perfect for connecting HDMI computers to SDI projectors because it scales the computer’s video to the broadcast television output standard that you choose. Blackmagic Mini Converters are designed to be used anywhere. You can put them in equipment racks in the studio, on news trucks, or use them outside for live sports and other events. Mini Converters have a straightforward, compact design that makes them easy to use and super reliable for 24/7 operation. The built in connections are easy to access and use standard cables, plus all models feature built in mini switches to quickly change settings. There’s even a diagram with switch settings printed on the back so you never have to look for the manual. 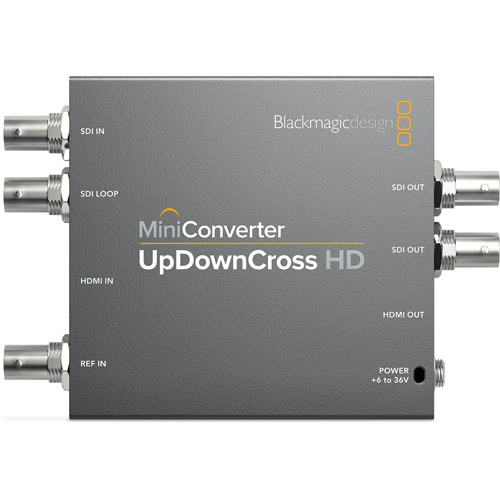 Most Mini Converter models feature 6G-SDI, making them compatible with all SD, HD and Ultra HD formats up to 2160p30. Ultra HD features a massive 3840 x 2160 frame size that’s 4 times the resolution of regular 1080 HD video. The 6G-SDI connections are multi-rate, so they are fully compatible with all of your existing SD and HD-SDI equipment, as well as Ultra HD. 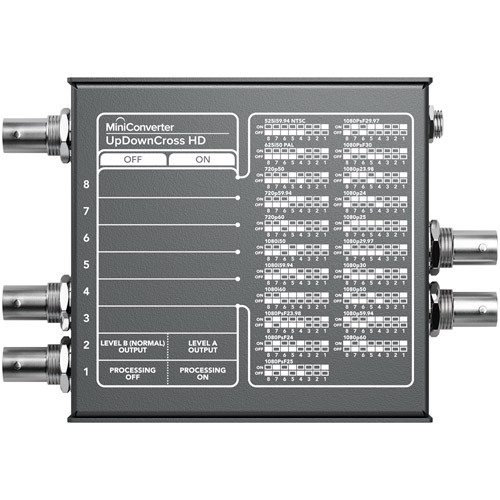 The advanced SDI connections automatically detect the input signal and switch formats as needed. Some Mini Converters are also available in 3G-SDI models for when you want to save money and only need to work with SD and HD equipment. A good example is analog conversions where you don’t need Ultra HD support. 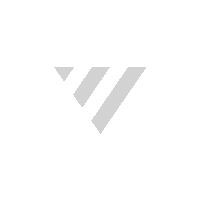 You still get the same quality and dependability broadcasters have relied on for years. The 3G-SDI connections are multi-rate and automatically detect and switch formats as needed. That means they are compatible with virtually all SD and HD-SDI equipment. 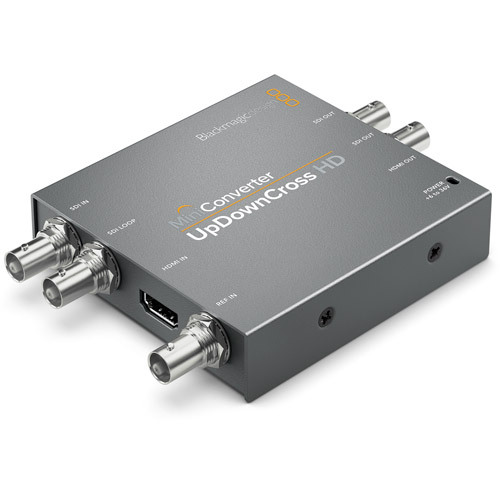 Mini Converters with 3G-SDI are perfect when you don’t need the extra cost of the Ultra HD models. In professional broadcast, post and live production workflows, the audio is just as important as the video. Blackmagic Mini Converters maintain the cleanest possible audio signal and always keep it in sync with your video. Mini Converters support embedded SDI and HDMI audio, and there are several models that let you separately embed or de-embed it to balanced analog or AES/EBU digital connections. Mini Converters support 24 bit analog and AES/EBU audio, and feature standard 1/4 inch audio jacks so you don't need custom cables. Anything can happen during a live production and you can’t afford to lose a signal and go off air. All Blackmagic Mini Converters with SDI inputs feature an innovative redundant SDI input so you can run a second SDI cable as a back up in case one cable is damaged. This feature is great for outdoor use, or in large, crowded venues where there’s a chance cables might get damaged. Often it makes sense to run the second cable on a different route than the first. If the main input is lost, the converter automatically switches over to the second input, so you’re always on air. With the highest quality 10-bit video processing and low jitter SDI, Mini Converters are ideal for the stringent requirements of broadcast, post production and professional AV. You get incredibly low noise levels when moving between analog and digital video formats. Low SDI jitter and full SDI re-clocking means you can run long cable lengths without any loss of video quality. Specific models include up/down/cross conversion that lets you move easily between PAL and NTSC SD video standards and the high number of HD formats, and then all the way up to massive 3840 x 2160 Ultra HD resolutions. Make the move to Ultra HD with the world’s most advanced 6G-SDI converters. 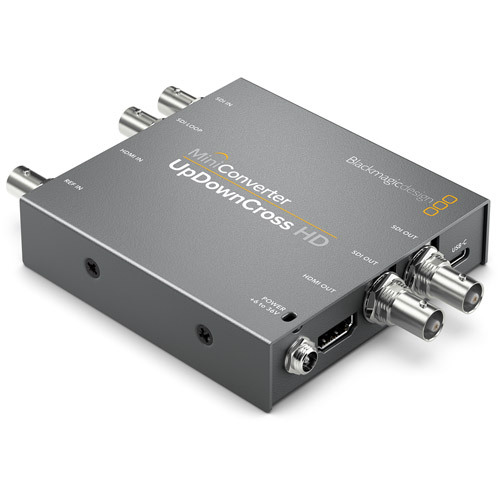 Blackmagic Mini Converters are the world’s most advanced converters because they include the latest 6G-SDI technology, automatically detect the input video format and instantly change between virtually all SD, HD and Ultra HD video standards up to 2160p30. You get advanced features such as redundant SDI inputs, re-clocked loop outputs, HDMI instant lock, 33 point LUT support, and full analog and AES/EBU audio connections so you can convert video, as well as embed or de-embed audio. Choose from a wide range of 3G and 6G-SDI models, depending on the conversion you need. HDMI televisions and projectors can take a long time to lock onto a signal when a new source is connected. HDMI Instant Lock on the Mini Converter SDI to HDMI 6G solves this problem by continuously sending an active HDMI signal to the display. When you switch to a new source that’s the same format as the previous signal it will lock in as little as 1 frame so you get glitch free clean switching. 33 Point 3D LUT Support. Mini Converter SDI to HDMI 6G also includes a full 33 point 3D lookup table for high precision color conversions. You can apply custom looks, color and gamma changes in realtime for on set monitoring. LUTs can also be used with the SDI loop output, turning the converter into a 3D LUT processor. The LUT’s are compatible with DaVinci Resolve so you get consistent color on set and in post. The broadcast, post production and AV industry rely on Blackmagic Mini Converters to connect all of their equipment together and keep their studios running. With over 20 different models available, there are Mini Converters with analog, SDI, and HDMI conversions that let you work with virtually all SD, HD and Ultra HD equipment. That means you can connect analog decks to digital equipment, switch HDMI to SDI, de-embed or embed audio, or even extend signals over massive distances with optical fiber. With so many conversion options, there’s no limit to the equipment you can connect.